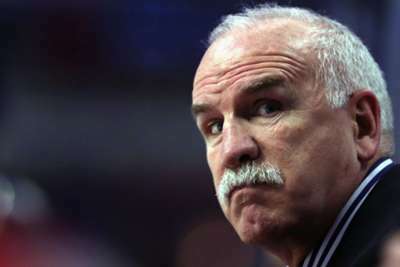 The Chicago Blackhawks have fired head coach Joel Quenneville and named Jeremy Colliton as his replacement, the NHL team announced on Tuesday. Assistant coaches Kevin Dineen and Ulf Samuelsson have also departed the franchise, with Barry Smith becoming part of Colliton's staff. Quenneville, 60, sits second on the list of wins for a coach in the NHL, amassing 884 in a career that also included spells with the Colorado Avalanche and the St. Louis Blues. He took charge of the Blackhawks in 2008, winning three Stanley Cups. Chicago made the playoffs in every season during his tenure apart from the last campaign, when they finished with a 33-39-10 record. "As Chicago Blackhawks fans have seen over the last decade, this organisation no longer shies away from making tough decisions or ones based on emotion," owner Rocky Wirtz said in a statement. "Those days are long behind us. Of course, Joel’s was difficult, as it should have been. During his tenure as head coach to the Chicago Blackhawks, Joel brought the city of Chicago and our fans three Stanley Cups and an incredible era of hockey. "When Joel was originally hired into our 2008 season, we had great hope for his potential to take the team to new levels. He went beyond what anyone expected. As difficult as that decision in 2008 was, this one was tougher. "But as we look to a future history not yet defined, we believe the change we made today will provide the Chicago Blackhawks a critical element in achieving our goals of championships in the future, including this season." Colliton, who was in his second season as coach of the team's AHL affiliate in Rockford, will take on the Carolina Hurricanes on Thursday in his first game in charge.